What is a Bonga? My first thought was that it was some sort of a wrap-like a sarong. Then I couldn't mistake the resemblance of the word to "bongos." A female version of those little drums, perhaps? Perplexed, I went to Wikipedia and discovered that Bonga is a town in southwestern Ethiopia. But the picture I have before me looks nothing like a sarong, drums, or a town. It looks like a sardine in body armor. Having tried soooo many times to eat sardines-and having constantly found them insanely fishy and squishy-I can sympathize. The sardine simply doesn't want to be eaten. It tastes gross, it's slimy, and now it's armored itself to make sure that humans avoid the entire species. And I don't blame them. If I were near the bottom of the food chain (as we will be during the Zombie Apocalypse), I would be encased in armor as well. But I digress. Actually, this little guy is the Bonga in question. 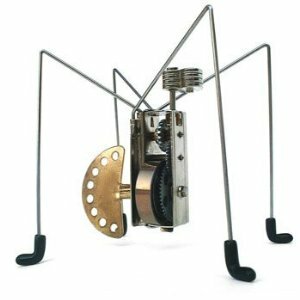 You've probably seen it, as well as other crazy wind-up critters, in toy stores, museums, and hobby shops. 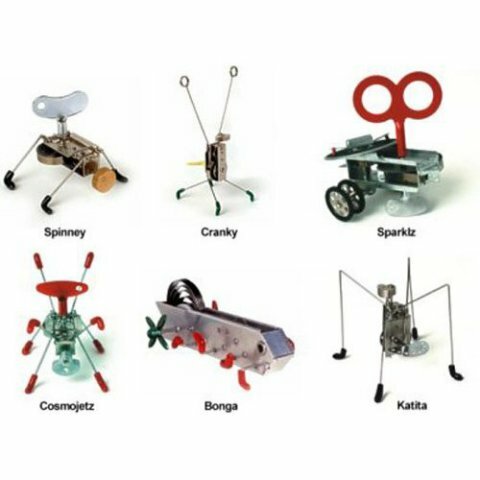 These are but a few of the wind-up toys made by Kikkerland Design, a company specializing in a wide variety of decorative home products and gadgets, these little insect inspired machines are not only cool-but also educational. The educational aspect of these toys comes disguised as fun (my favorite form of education). With names such as Cranky, Sparklz, Katita, and (of course) Bonga, fun is definitely on the menu. Each wind-up critter operates in a different manner. Some bounce. Some vibrate. Some crawl. Some sort'a roll on legs-which isn't the same as crawling, in my book. 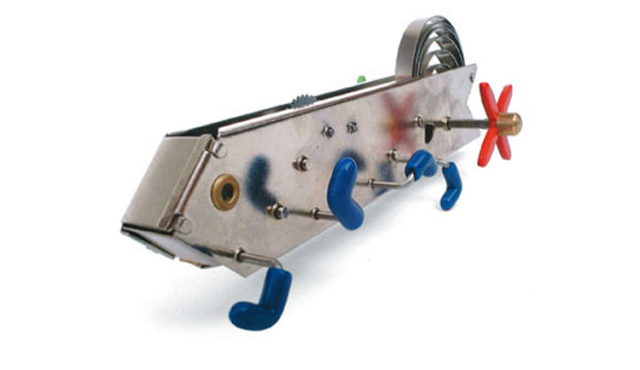 Essentially these little guys are tiny, rudimentary robots. They teach the laws of physics in a fun way. They also look frighteningly alive. What I find quite appealing about these little robotic guys is that they aren't horribly expensive, ranging between $6 and $14 or so. Get your very own Bonga (or one of it's friends) at Amazon. Thanks for the post! I'm a bit rusty on my Tagalog... lol.